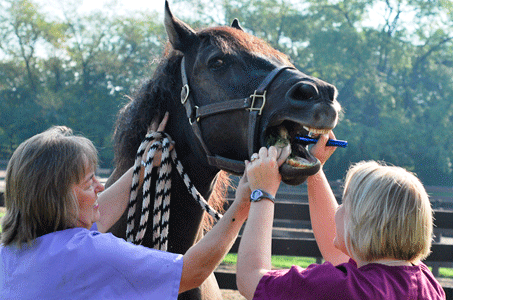 Dental care is essential to your horses’ overall health and performance. We provide Power float dentistry and recommend that teeth be checked twice a year and usually floated annually. Correcting wave, hooks, ramps and incisors enables your horse to eat properly and perform optimally.